I hope you’re enjoying your snow day, if you got one. I’m having a snow day, but I work from home, so not really. Technically, this is me working right now. I work for you. I could’ve said “No Tewsletter today, there’s so much snow, even digital travel has become treacherous.” But I didn’t. I woke up at eleven AM. Thought about what I wanted to say for several minutes, then sat down to write it a few hours later. That’s how committed I am to this. Have you been watching “The Bachelor”? I haven’t. I’ve been watching “Baskets” with Louie Anderson and Zach Galifianakis. It’s hands down one of my favorite shows in recent years. It’s dark, and a little bit absurd. It’s really leveled up this season, and I highly recommend it. Anyway, back to me. 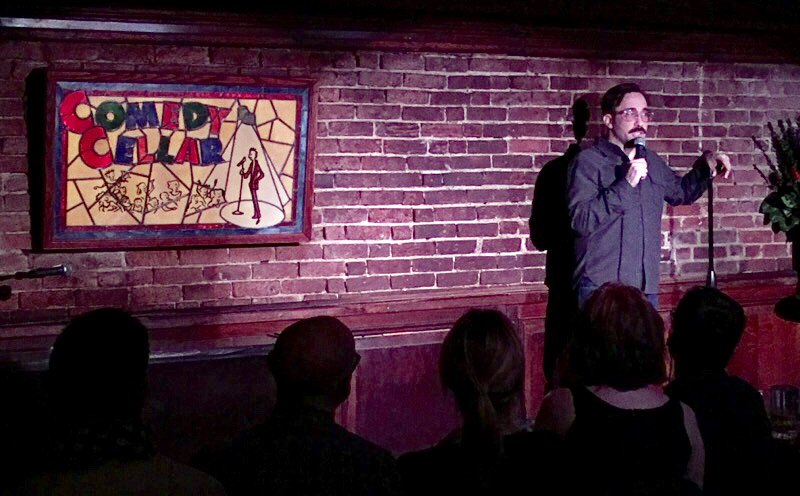 If you’re in the NYC area, you can catch me at the Comedy Cellar from time to time now. It’s the most legendary club in the city, with the most legendary lineups. I’ve wanted to perform there since I started comedy like thirteen years ago. Reach for the stars, end up in the basement! No, I can’t get you free tickets. My album comes out April 14th, but I’ve already mentioned that way too many times. As soon as a pre-order date is set, I’ll let you know. There’s also supposed to be some preview tracks floating around the internet soon. I’ll tweet about it. And Facebook about it. Thanks, everybody. I can’t believe you’re still here.